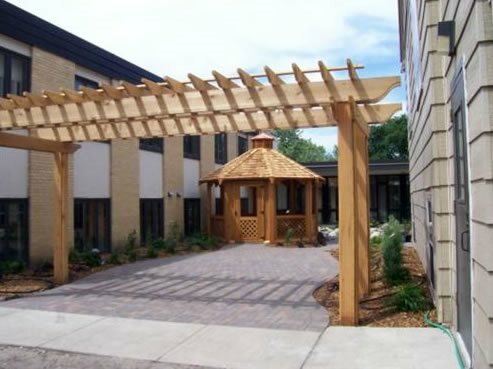 This courtyard is defined by a narrow freestanding wooden pergola, which cost about $3,500. 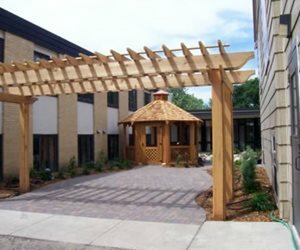 If your pergola is large or elaborate enough to need engineering and a permit, that increases the cost significantly. Check with your city to see what types of structure need permitting. The first thing to remember when looking at budget is the more wood (or any material) you use, the higher the cost. So more square footage or height, larger beams, and solid-roofs will all increase cost. 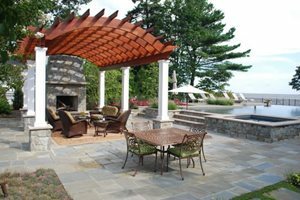 In addition, pergolas that have columns, beams and rafters placed close together to provide more shade will naturally cost more in both materials and labor. 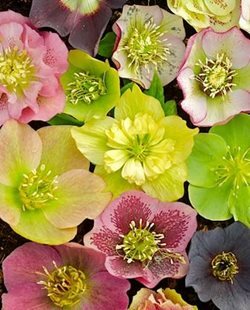 However, you don’t want to scale back to where your pergola isn’t useful. 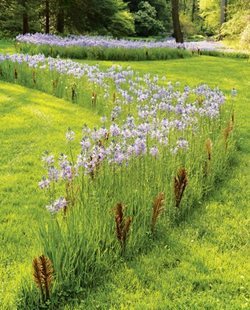 “If the whole purpose is to shade out light, then using less wood isn’t going to have the right result,” Ryan Aakre of Signature Landscapes Inc. in Fargo, ND points out. You can also save money by choosing cheaper materials. Instead of using a solid redwood or cedar post, you can use an inexpensive pressure-treated post wrapped with a more attractive wood. The benefit of having more wiggle room in the budget is that you can customize anything you want. Your contractor can tailor the pergola design so it totally matches your architecture, with gingerbread detailing or columns to echo the ones on your home. 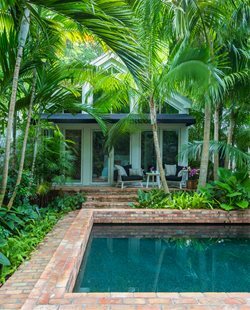 A solid roof is also of great benefit if you live in a particularly hot climate, or wish to enjoy your pergola on rainy days as well. If you have an outdoor fireplace, bar, or large entertaining area, a solid roof extends the seasons during which you can enjoy your outdoor hangout. If you have the budget and desire to create a true extension of your home, a screened porch or an insulated sunroom can provide many of the same benefits as a pergola, yet be even more comfortable throughout the year. Use pressure-treated posts because they last a long time and are an inexpensive base, but wrap the posts with 1” by 1” cedar so they have the look of a natural, high-quality wood. 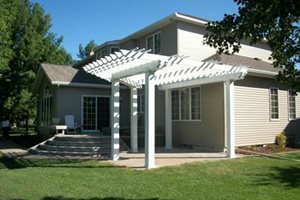 Attached patio covers are similar to pergolas but often cost a bit less because fewer support beams are needed. Use column wraps because you can get the look of stucco, cast concrete, or stone for your columns without the expense and difficulty of using those materials.